You can message any candidates who have applied to your listing(s), or any leads that you've recommended listings to. For candidates, this can be a great way to thank them for applying, share any relevant information on additional requirements to apply to your program, or to set up time for a phone conversation. For leads, you can use this as a chance to send a friendly follow up letting them know you think they'd be a great candidate to apply for your opportunity. 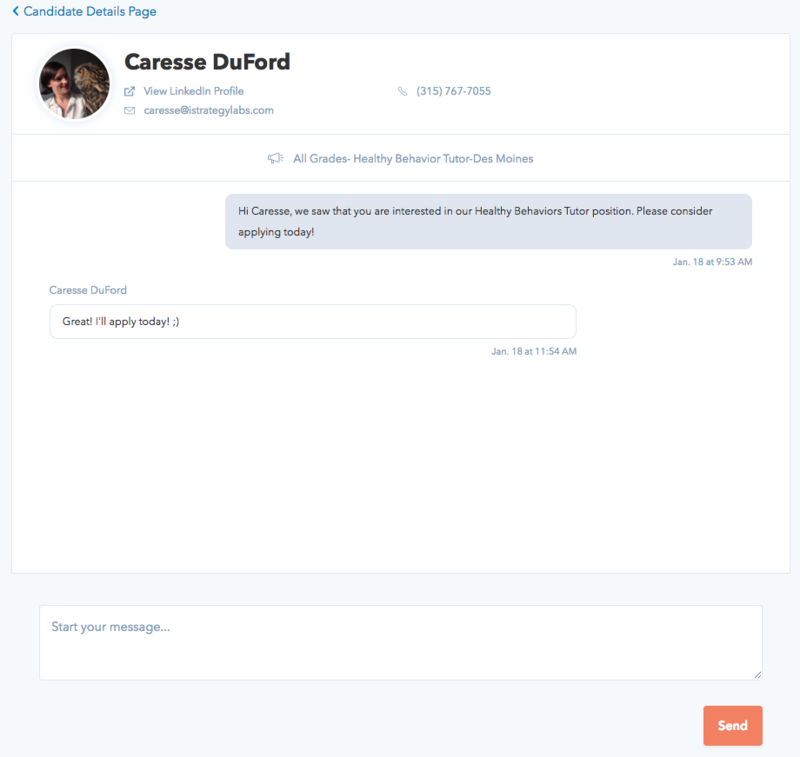 Anyone from your team can follow up on messages with candidates or leads. In the Corps Members section of your dashboard, click the card for any of your candidates who have applied, or any of your leads you’ve recommended listings to. 2. Select the “Message Candidate” button. 3. Enter and send a message to the candidate or lead. Once you hit send they’ll receive an email with a link encouraging them to reply to your message. 4. 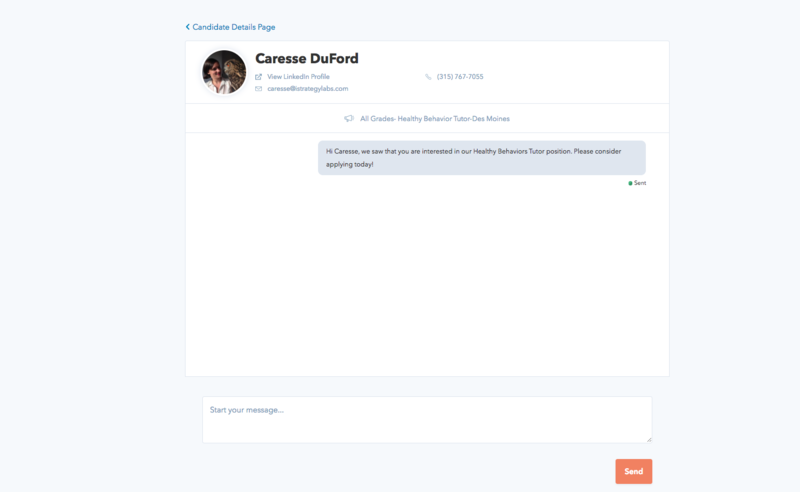 Once your candidate or lead receives your message and replies, you’ll receive an email notification. 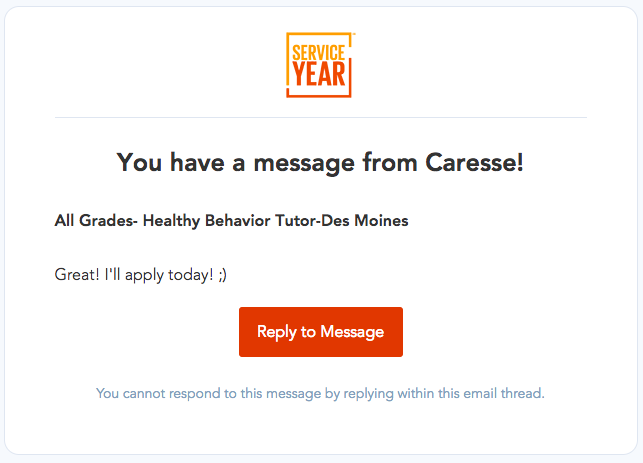 Click the “Reply to Message” button, which will take you back to ServiceYear.org to continue your conversation. To return to this conversation at a later time, simply repeat steps 1-2. From there you should see that you have returned to the message thread between your candidate or lead.